A year ago I wrote about how I was embracing the semi-solid tones of my greying hair in my short series about colour. This year I have actively been exploring colour through my making, and especially nature’s semi-solids. 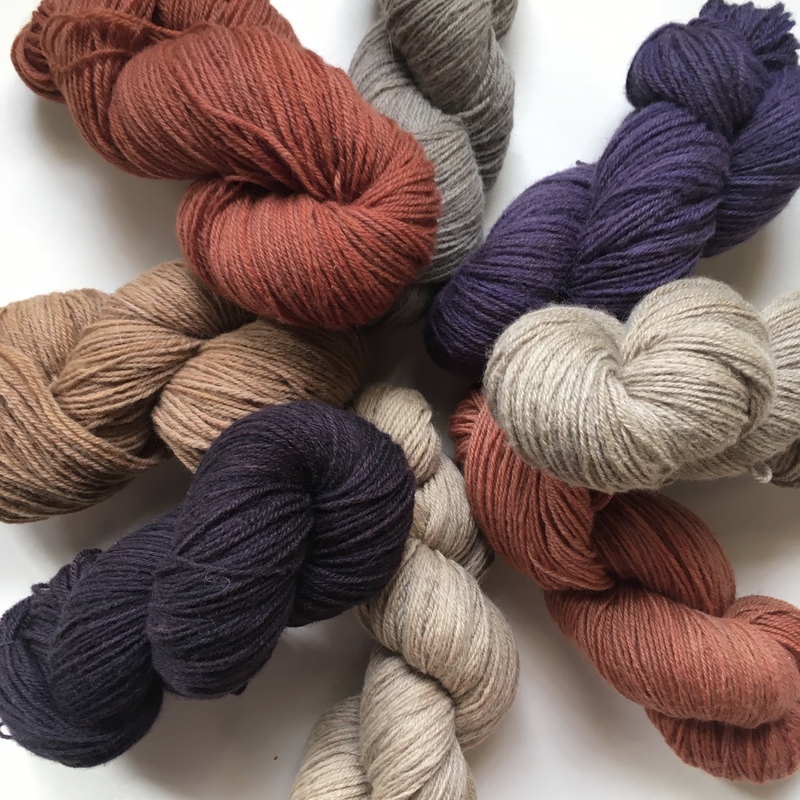 In the first half of the year I focused on exploring the beauty of natural shades of wool, encouraged by the fabulous Natural Shades Knit-a-Long organised by Knit British and BritYarn. It is very easy to celebrate natural shades of cream, brown and grey wool when you live in a country with such an amazing range of sheep, many of which have interesting fleeces. 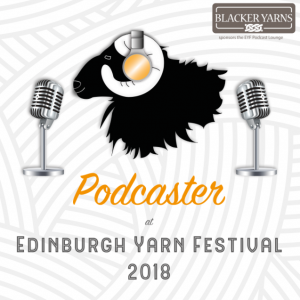 My standout favourites are Shetland natural black, Shetland fawn and dark grey Jacob but I love natural shades in all their forms and the more they deviate from the pure white/cream of bare yarn, the more interesting I find them. 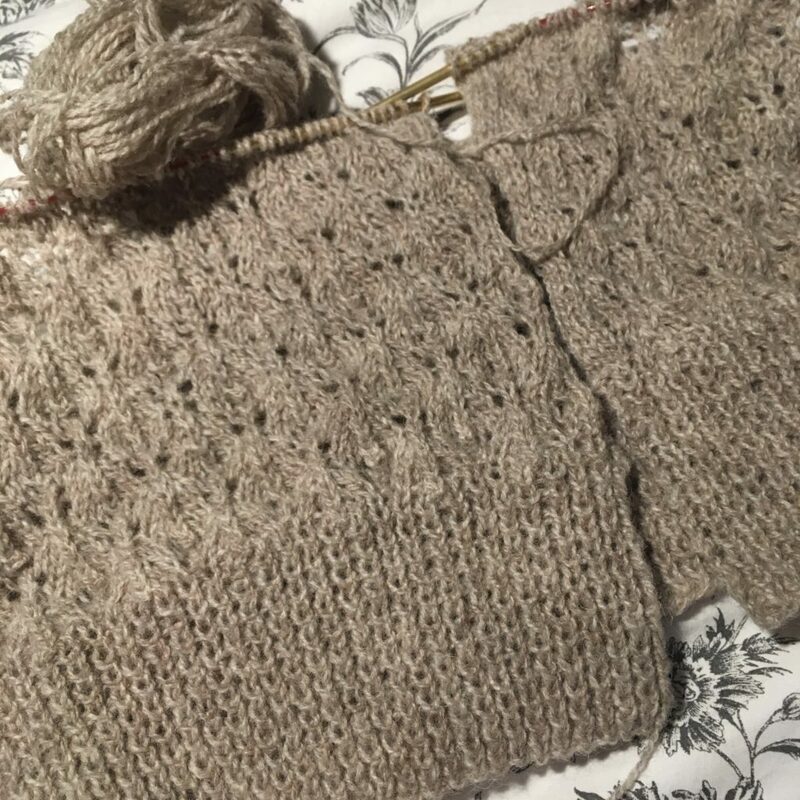 I am currently finishing up a cosy cardigan in a blend of wools that produces a natural stone colour, reminiscent of the The Cobb at Lyme Regis on a mild autumn day. In recent months I have also been exploring nature’s other semi-solid colours, the ones I can achieve through natural dyeing. I first tried natural dyeing last year at a workshop organised by Cordwainer Grow – a super organisation in East London – and promptly invested in a couple of books by Jenny Dean on the topic. As natural dyeing, like pottery, involves a degree of alchemy (i.e. chemistry in action that a lay person doesn’t necessarily understand and can’t completely control), I was initially a little wary. Just as with my sewing, I was worried about wasting valuable resources. However, the more I experimented, the more I realised that the unpredictability was part of the joy of natural dyeing. Oftentimes the colours differed from those that resources suggested I could achieve but turned out more beautiful and interesting than I could have imagined. Just as with glazed pottery, many factors can influence the finished product: the shade of yarn being died, the chemical composition of different yarns, the pH value of water, the amount of dye matter used, the chemical composition of the dye matter depending on when or where it was harvested, the temperature in the pot, curing time, the mordant and/or modifier used… Some of these things can be controlled through careful measuring and modification but, although I keep detailed records, I actually like the variability of the process. Yes, I would like a pan large enough to be able to dye a sweater’s quantity of yarn as some patterns really lend themselves to a more whimsical colour, but just as I celebrate the uniqueness of each loaf I bake or batch of jam I make, so too do I enjoy the distinct character of the skeins I dye as it reflects the very nature of natural dyes. 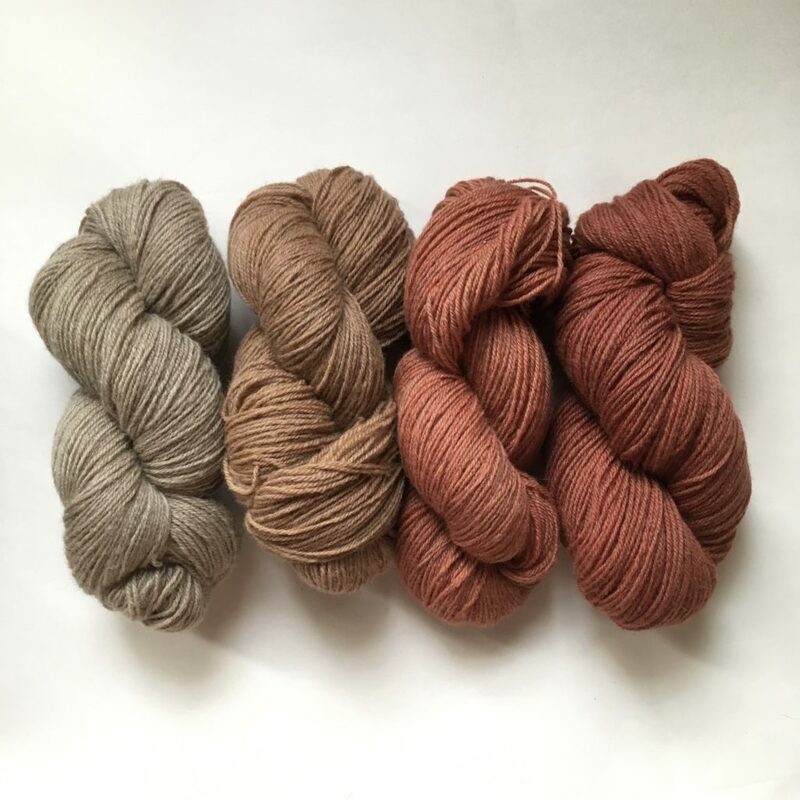 First, no matter how much care I take when the yarn, fibre or fabric is in the dye bath, natural dyes produce a range of pigments that absorb light in different ways, resulting in a semi-solid colour. Secondly, whilst not every colour I achieve is necessarily one I would naturally lean to, the muted and tonal nature of the pigments means colours don’t clash, not with other dyed fibres, my skin tone or my natural hair colour. Consequently, natural dyes are extremely flattering, especially on someone who embraces the natural semi-solid colourings that come with years! My natural dyeing experiments are set to continue in 2017. I am planning to expand my dye experiments to linen and cotton fabric and am also looking forward to combining naturally dyed fibres with natural shades of wool and unbleached fabric, safe in the knowledge that nature doesn’t clash! Pretty much any book by Jenny Dean and her blog, which has links to UK suppliers. Jenny is a leading British author on natural dyeing. There are many other books on the market and I would generally recommend starting with one by an author ‘local’ to you as they are more likely to include local dye materials as well as relevant legislation about the disposal of mordants and modifiers. “Vegetable Dyes” by Ethel Mairet. This publication dates from 1916 so some of the chemicals and materials suggested are no longer in use/obtainable but as natural dyeing is a centuries old skill, I like how this book captures a lot of this old knowledge in a matter of fact way at a time when it had started to fall out of use. Blogs by people who document their dyeing experiments. I particularly enjoy Woollenflower’s blog, as she is a botanist by training so brings another level of knowhow to her experiments, and Riihivilla’s blog, who is Finnish and whose dye experiments are deeply rooted in her locale. I found a workshop useful, mostly for reassurance on the HSE aspects. (As an environmentalist and former lawyer, I can get a bit paranoid about the type of regulations I know exist but don’t know in detail…). Local spinning and weaving guilds or community growing projects are a good starting point for trying to find workshops. 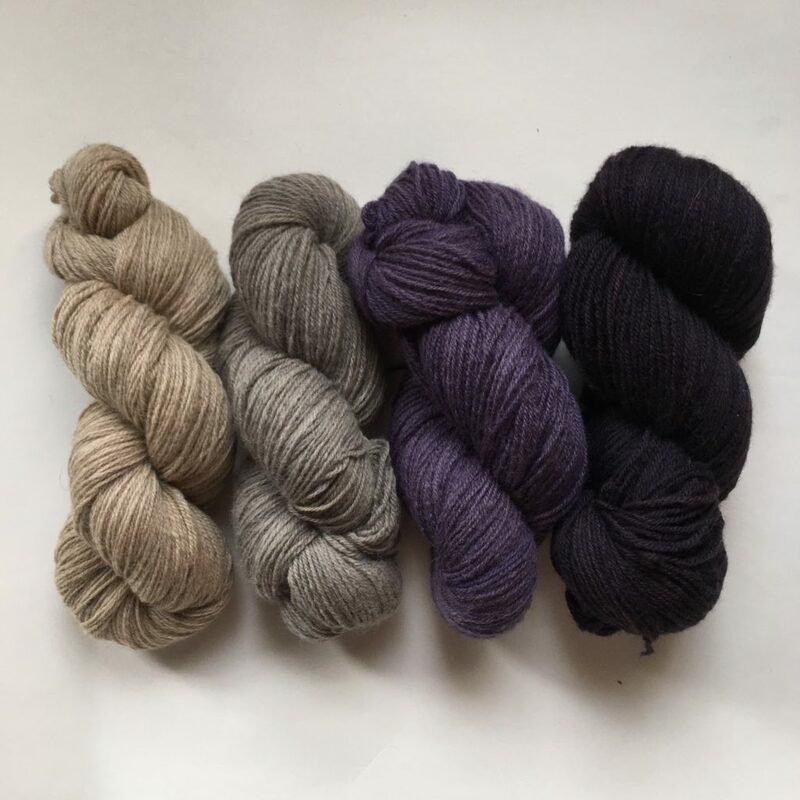 Would you share the pattern names for your natural grey and beige sweaters? Thank you. 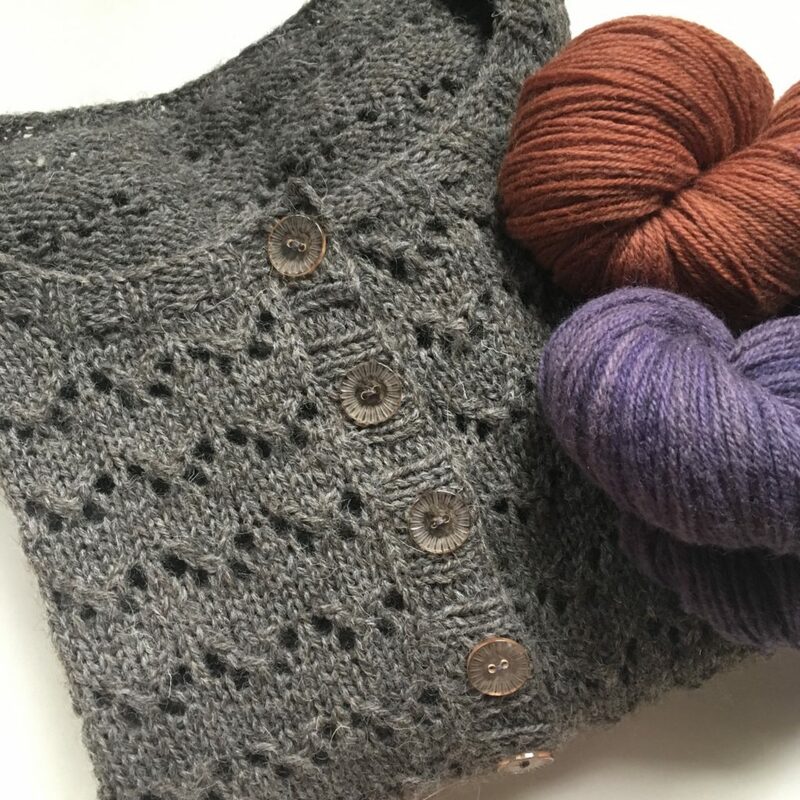 The grey cardigan is Hetty by Andi Saterlund and the beige one is Pomme de Pin by Amy Christoffers. Both are available as individual patterns on Ravelry.